This summer’s drought has been tough on most Massachusetts mosquitoes, who have seen their numbers tamped down by the hot, dry weather. But one species thrives in these conditions — and that’s the species that carries West Nile virus. 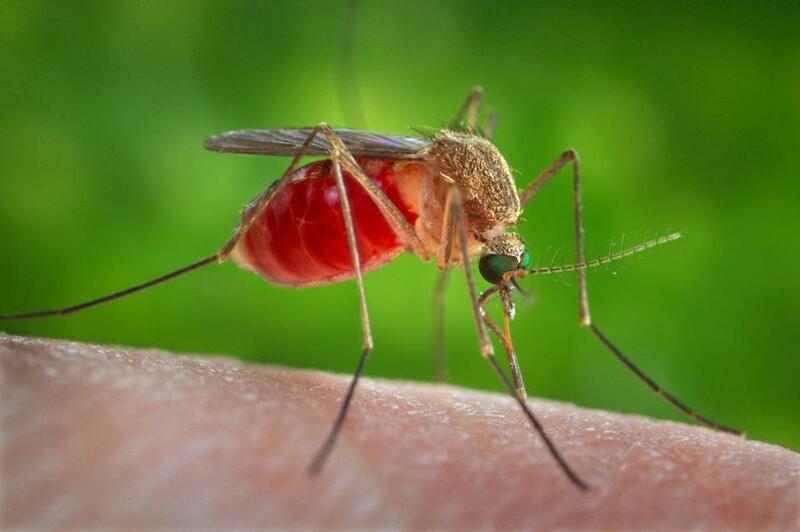 “Unfortunately, a year like this, the weather is so perfect for Culex mosquitoes,” said Dr. Catherine Brown, state veterinarian for the Department of Public Health. As a whole, entomologists say they’re seeing fewer mosquitoes than normal this year, partially because of moderate to severe drought conditions across much of the state. Mosquitoes need hot, humid conditions to proliferate, and the lack of rainfall hasn’t provided that. Many of the state’s 51 species of mosquitoes, including those that transmit Eastern equine encephalitis, have diminished ranks, although the state confirmed its first detection of EEE in a mosquito sample Friday. In Plymouth County, service calls from residents seeking spray to combat mosquitoes is down about 1,500, from roughly 9,000 at this time last year. But as streams run dry, organic material accumulates in riverbeds, attracting female Culex pipiens mosquitoes looking for a place to lay their eggs, Bidlack said. That species, which spreads West Nile and is especially common in urban and heavily suburban areas, loves small pools of dirty water. Also, as people break out garden hoses to compensate for sprinkler bans and lack of rainfall, they’re more likely to leave pools of standing water around their homes, Brown said. West Nile has been detected in seven mosquito populations sampled this summer: five in Worcester at the start of the month, and then in Brookline and Falmouth, according to the public health department. While Brown said the timing of the virus’s detection isn’t unusual — July typically kicks off West Nile season — the frequency is. By early July last year, West Nile had been detected in only one mosquito sample, in Sheffield, in the Berkshires, state records show. No humans or animals have been infected so far this year. Brookline raised its West Nile risk level to moderate after the infected mosquitoes were detected, and officials said the virus is likely present throughout the town. Alan Balsam, director of the Brookline health department, said insecticide has been applied to 3,500 catch basins, which attract mosquitoes. “So I think we’re ahead of it, but it’s something people should pay attention to but not freak out about,” Balsam said. That’s the message Brown has, too: Be proactive — wear bug repellant, dump your standing water — but don’t panic. Ten people were infected with West Nile in Massachusetts last year, but it’s too early to tell if the numbers will increase this year, she said. But with little indication of the drought letting up, people would do well to pack the bug spray. Vivian Wang can be reached at vivian.wang@globe.com. Follow her on Twitter @vwang3.